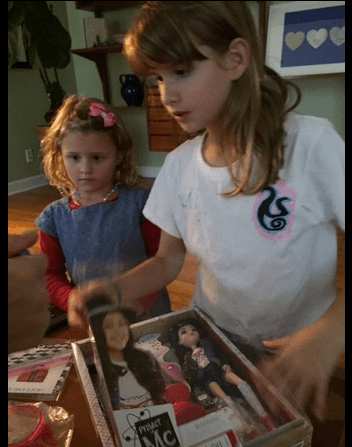 It had a doll in it from Netflix’s new show, Project MC2, which is about smart girls who use their science skills to save the world (or their city…or something), but included in the box were little science experiments and a miniature lava lamp, which excited her greatly, because she got a full sized lava lamp for her birthday from one of her little friends whose parents (presumably) smoke lots of weed, and now her doll can have a lava lamp, too! When the show started this month, she watched all 4 episodes and loved them. I walked by during one viewing and noticed that Danica McKellar from “The Wonder Years” was in the show, which I loved, too. 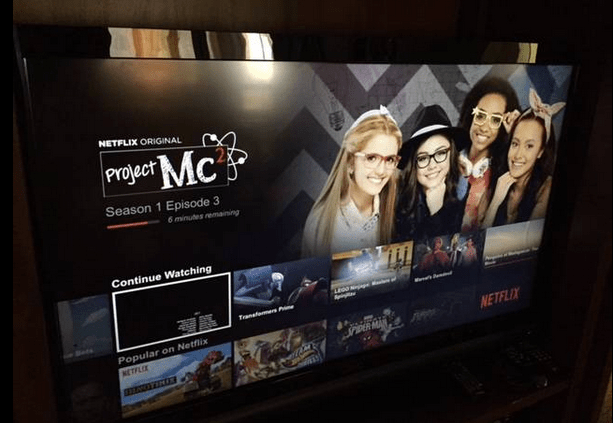 The children have finally started watching their chosen streaming shows via the Roku box instead of through our “smart” TV, which I’ve been advocating for months, so that they can send the sound through the receiver (and attached speakers). They like the simple remote and interface. It made Saturday mornings when their mom and I wanted to stay in bed late this summer much more doable. Speaking of Saturdays, in a few days, college football season will recommence–my favorite time of the year! Since we cut out cable TV several months ago, I was worried I’d have to swallow my pride and go crawling back to AT&T to take her and her whore ways back. Nope. I learned about Sling (from a Facebook friend, of course)! I get tons of live sports channels, including the SEC network, for $25/month (and AMC, so I can watch “The Walking Dead” again next month!). I’ll cancel it after football and zombie seasons end, but for the next several months, I’m happy to keep my pride AND maintain my Saturday day and Sunday night fall traditions. That’s my unpaid endorsement for Sling to conclude my paid endorsement for Netflix. I’ve recommended both services to lots of folks, but especially Sling this week since football is returning! Happy Labor Day weekend/start of college football season, folks. Unless you’re a Wisconsin fan. I wish the Badgers nothing but misery this weekend.